The Florence tram system after the opening of tram line T2. Urban tramways (first-generation): (horse-drawn:) 5 Apr. 1879 - 1898; (electric): 1898 - 20 Jan. 1958. Urban tramways (second-generation): 14 Feb. 2010 - today. Suburban tramway (Firenze-Poggio - Caiano/Prato): (horse-drawn): 5 May 1880 - ? ; (steam:) 23 Nov. 1879 - ? ; (electric:) 17 Jan. 1897 - 28 Oct. 1931. Fantechi, A. & Mantovani, G. "Firenze's tramway renaissance", Tramways & Urban Transit, Oct. 2018 (81: 970), p.379-383. 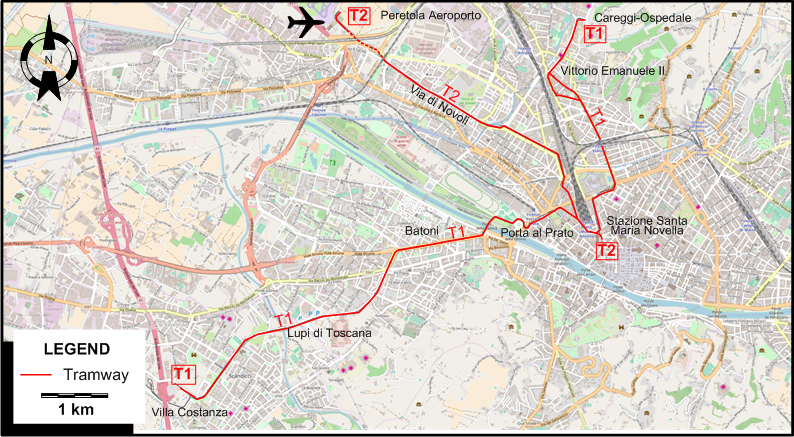 "Firenze opens T2 tramline", Tramways & Urban Transit, Apr. 2019 (82: 872), p.976. 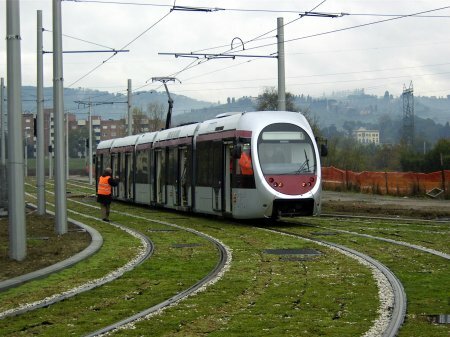 Pulling, N. "Florence trams are another renaissance", Tramways & Urban Transit, Aug. 2010 (73: 872), p.292-294.